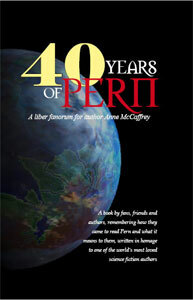 This site is dedicated to author Anne McCaffrey's world of Pern, with its fire-breathing dragons and their Riders, dedicated Craft artisans, and hard-working Hold folk. 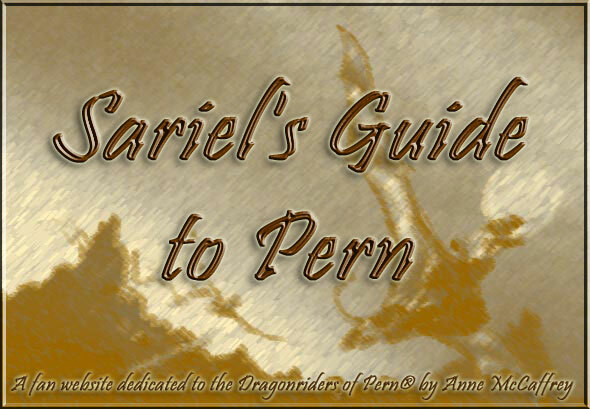 Whether you are new to Pern or a long-time fan, I think you'll find my archive of information interesting and even useful. Much time and effort went into gathering these various Records for your use, and I have been recognized for it by becoming an Accredited Master Archivist. Weyr, Hold, Hall, Thread, firelizard? If these terms aren't familiar, you may want to start with my Introduction to Pern. Are you a regular visitor to this site? To learn about site additions and changes since your last visit, check the site news. I hope you enjoy your visit to my site, and please don't mind Zoey, my blue firelizard who tends to pop in randomly!